After our brief stop in Jamaica, the Cuba Cruise headed back to Cuba, docking at Cienfuegos. 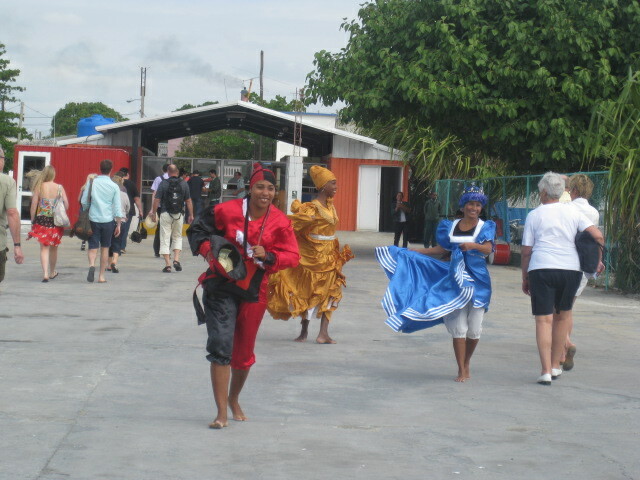 Because we were re-entering Cuba, we had to go through the full immigration procedure again. This included a new immigration and customs landing form. Before the ship docked, several immigration and medical staff loaded the ship and all of us entered into the Muses Lounge to have our temperature checked and immigration forms reviewed. Everyone on the ship had to go through this procedure before anyone could disembark form the ship. It did not take long – except for one missing person that they finally found – and I headed for the next adventure. Waiting for us were three women dressed in traditional Yorban-Orisha costumes and drummers. Then, we had the scanning procedure before handing over our custom forms. One of the customs dogs took a liking to me – I was not sure if I should be nervous or pleased to interact with such a friendly dog. I opted for the latter and had a nice conversation with the dog’s handler. Then, I headed to a bus for my next tour. 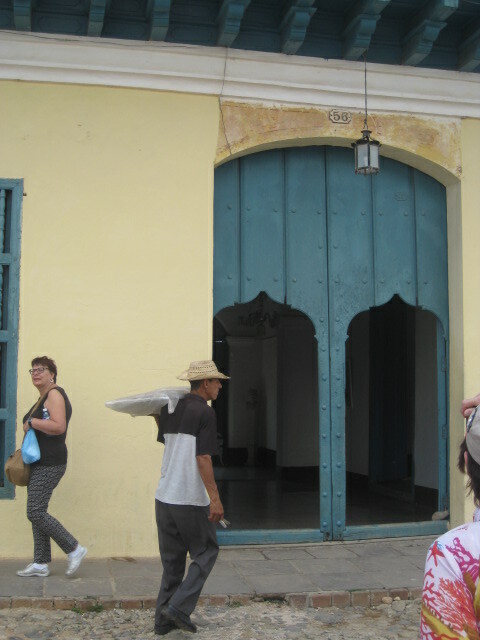 The nice thing about Cienfuegos is that you really do not need a tour if you just want to hang out in the town. 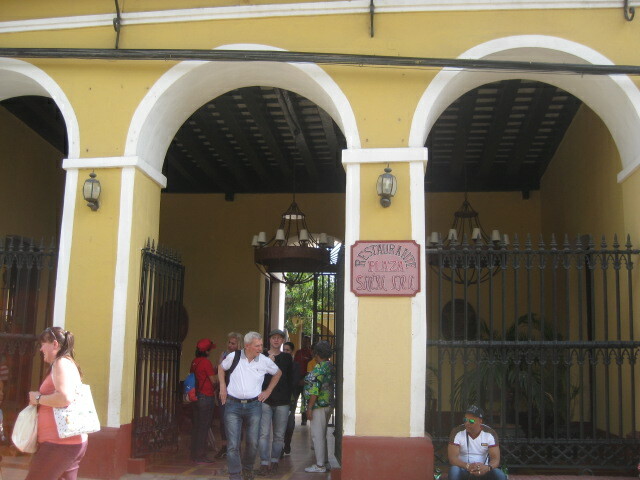 It is an easy walk from the ship and has a nice plaza area and beautiful French colonial buildings. I, however, wanted to see the town of Trinidad. We drove through the town of Cienfuegos, and learned that their baseball team was the Elephants – there was a huge elephant statue next to the stadium. We drove past the medical centre area and a cemetery before heading into the countryside. The drive to Trinidad takes about ninety minutes, and you see several types of terrain, from fields to mountains to the sea. For some reason, I felt this could be my home. I felt such a deep connection that was a bit overwhelming. Part of the drive reminded me of driving along Pacific Coast Highway between Monterey and Half Moon Bay – one of my all-time favorite drives. This is also the time that all of my camera batteries died – two before I left the ship and one halfway through the journey. 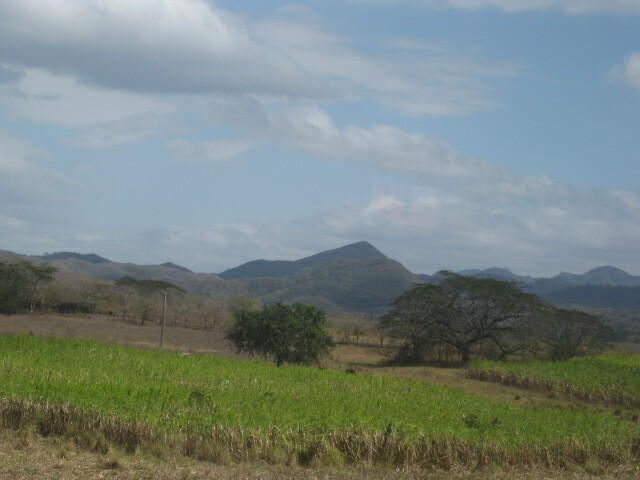 However, I did manage to take a few pictures along the way and once we got into Trinidad. 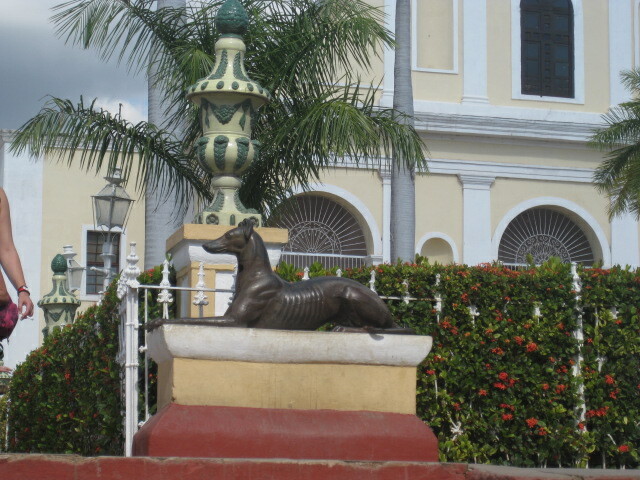 Our first stop on Trinidad was as a beautiful, but run-down plaza. 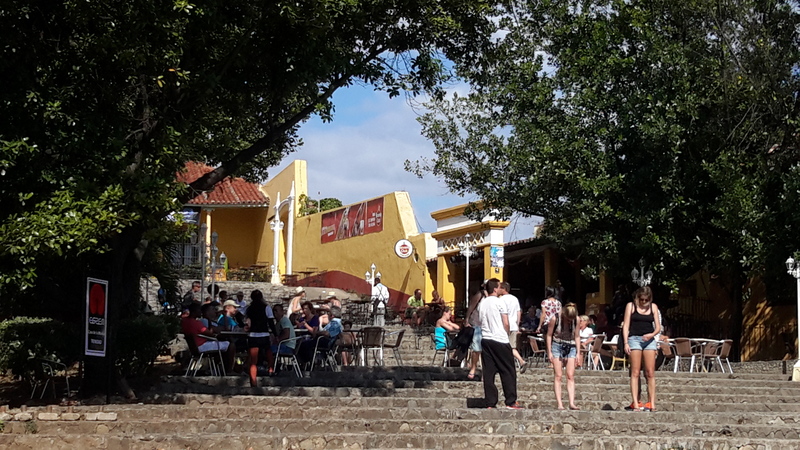 On one side was a former Spanish prison, turned into a restaurant where we had lunch and listened to Cuban music. On the other side, stood a church partially destroyed by a hurricane. I was amazed that the bell tower complete with bells, was still standing. Our next stop was at a private pottery business run out of a family home. The Santander family started this pottery business in the 1890s. The business still runs out of the family homes around Trinidad. 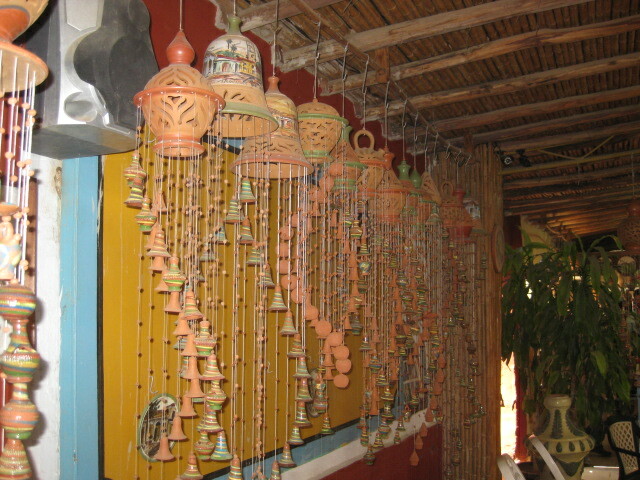 In 2007, UNESCO recognized the work of this family with a Master Artisan award. We entered the back of the family house into a pottery showroom, complete with a dog asleep near a counter and a parrot in a cage. An elderly man walked up a pottery wheel, and demonstrated how they make the pottery cups that you will find in bars all over Trinidad. I picked up a small bowl, asked how much and told $2 pesos. I should have bought more but I did not know how much would fit in my luggage! They have a wall of pictures that show many of the famous people who visited the shop. Here is a YouTube video that tells more of the story of this pottery business. After this, we made our way to Plaza Mayor with its stunning architecture. Like most of the plazas, there is a church. 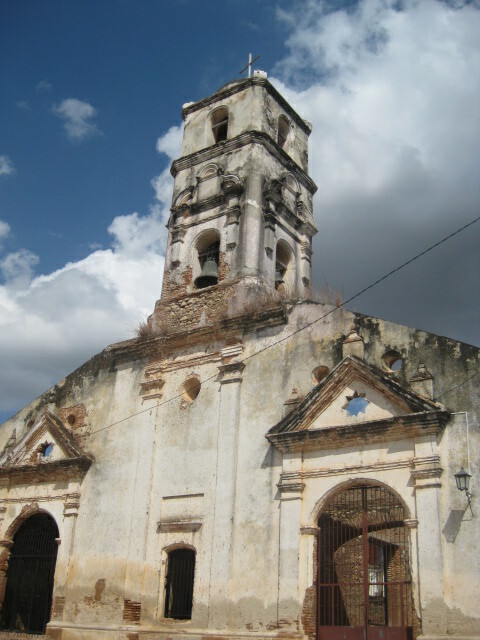 This one is the Iglesia Parroquial de la Santisima Trinidad. Next to the church is a flight of stairs that lead to the Casa de la Musica. 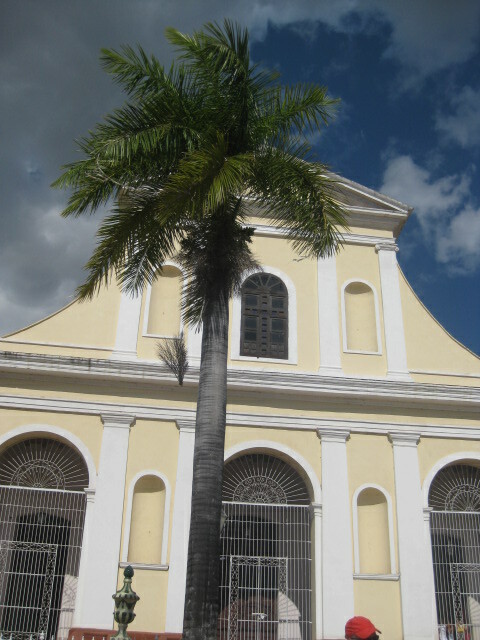 To the left of the church is the Palacio Brunet built in 1812. It now houses the Romantic Museum and displays furniture and other objects that used by the Brunet and other wealthy families of this era. The kitchen has the original painted tiles. It is a step back in time and the collection is lovely. Our next stop was for rum, of course. This time it is in the form of the “original” rum drink, canchanchara. It is a mixture of rum, lemon and honey and served in the little cups made by the Santander pottery business. Because the day was hot, they served it cold and you had to stir the honey to mix the drink. I think this was my favorite of all the rum drinks I had in Cuba (or maybe I just liked stirring the honey into the rum)! 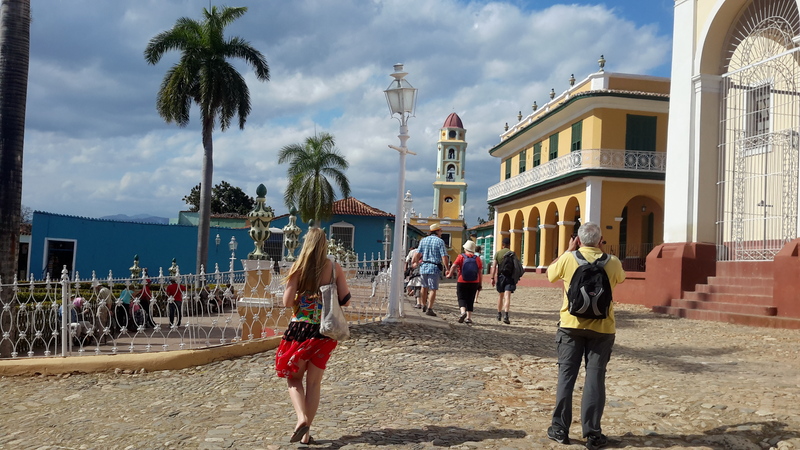 I wandered a bit on the cobbled stone streets of Trinidad, enjoying the energy and the beauty of the town centre before we headed back to Cienfuegos. 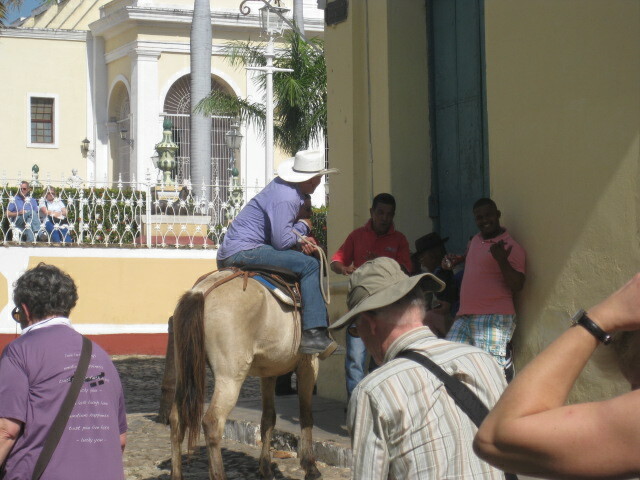 The last “stop” was made was a quick tour around the main plaza in Cienfuegos. 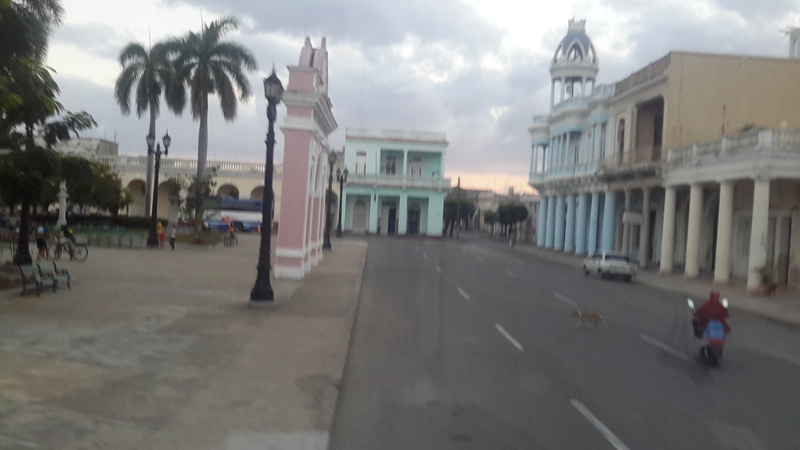 While Trinidad is vibrant yellows and bright blues, Cienfuegos is pale blue, pink and white. It was nice to see the difference between the two before heading back to my home on the ship. I met you on this tour & sat with you at lunch. Was nice to meet you & am enjoying your blog. Would it be okay to post a link to your review over on Cruise Critic on the thread that’s been running for both seasons of this cruise please? Thanks for your quick response! Will do! Where are you headed next? It depends. I’m planning a trip to Spain in October, but I may try to go somewhere in August, but not sure yet.